The city is advising of rolling closures in both lanes of the Red Hill Valley Parkway this weekend as work crews install new signs. 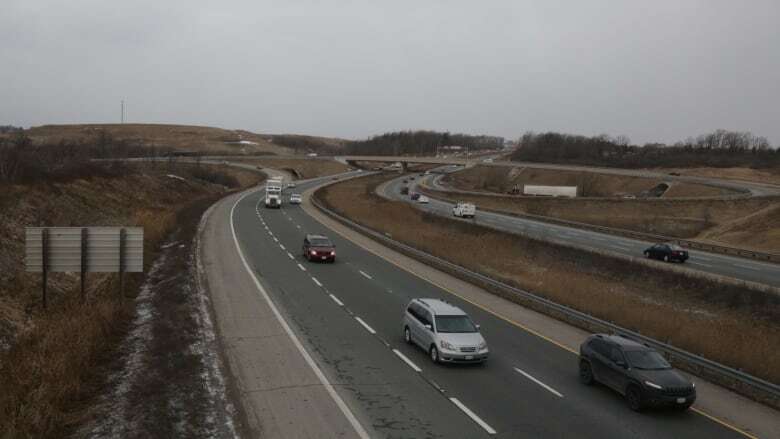 The city is advising motorists of rolling closures in both lanes of the Red Hill Valley Parkway this weekend as work crews install signs designating new, lower speed limits. The new limits come in the wake of a bombshell report that had been hidden for years that raised concerns about traction levels on a stretch of road where multiple deadly crashes have occurred. The city says the speed limits will be dropping to 80 km/h, down from 90 km/h. The new speed limit will be enforced as of 9 a.m. on Sunday. To accommodate the work, intermittent lane closures are happening on Saturday and Sunday between 8 a.m. and 6 p.m. on both sides of the Red Hill Valley Parkway from the QEW to south of Greenhill Ave. The city says drivers should also expect temporary closures of the on and off ramps along the parkway during these time periods. "The City thanks motorists for their patience and cooperation as we complete these sign changes and reminds drivers that posted speeds are maximums," the city said in a statement. "Drivers should reduce speed appropriately, particularly for wet road conditions."